Garmin has a slick device that pairs with your smartphone via Bluetooth and will project a heads-up display of driving directions on your windshield. Along with standard directions it can also show speed, traffic info, speed camera alerts and suggest lanes. 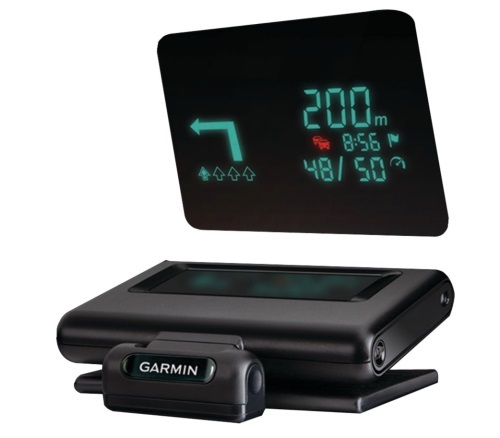 The dasbhoard mountable HUD from Garmin is wireless and will project the display onto a transparent film that sticks to your windshield or onto a reflector lens attached to the device. 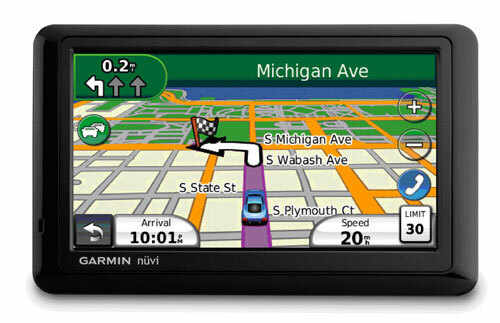 It works with iPhone, Android and Windows Phone 8 and will require Garmin’s StreetPilot or NAVIGON software. 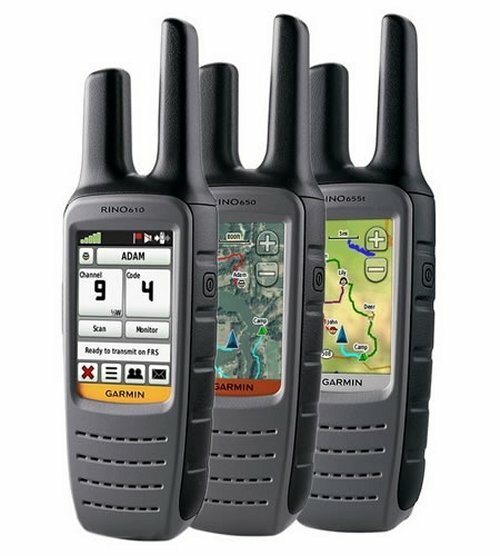 Garmin has unveiled its latest hand-held two-way radios, the Rino 610, 650 and 655t. Sure they will allow you to communicate, but they also include GPS technology, so you will always know where you are. But that’s not all. They feature a high-sensitivity GPS receiver with HotFix and will automatically calculate and store satellite information and use the stored information to keep you updated with your current position. It will also send information about your location to other paired Rino device users as well as text messages. Who wants one? You know Garmin for all of their fancy GPS devices and watches. Well, now they have a new watch in the Garmin Forerunner 610 GPS sport watch. It features a weather-proof touchscreen and is designed for serious runners looking for an extra advantage. The Forerunner 610 is good to go in rain, safe from your sweat and any other splashes you can throw at it. This one is responsive enough that it can be operated while wearing running gloves. It sports features like pace, distance and time meter, a heart rate monitor, and you can even race with friends in other countries. We have seen the Garminfone already with its questionable mix of smartphone and PND that I don’t think most folks will care for. 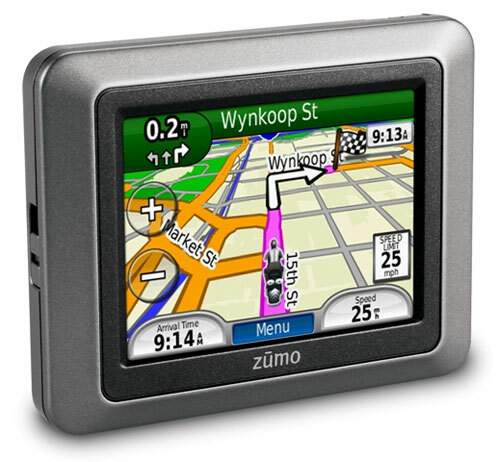 Today Garmin dropped a new GPS device that no one was expecting out of the blue called the nuvi 295W. The 295W is sort of like that Garminfone minus the phone part. The PND is clearly aimed at trying to get users to take the 295W with them outside the car. The device has a 3MP camera and can geotag images it takes. 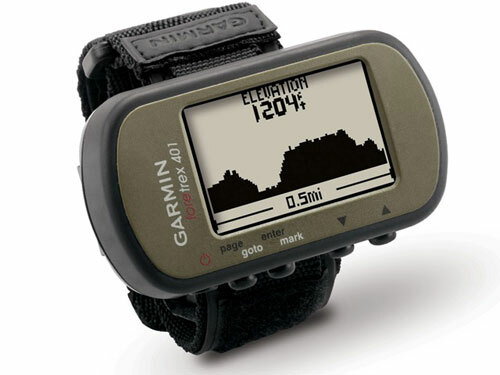 Garmin has been in the GPS market for a long time and makes GPS devices for every need. The company is working on a smartphone that is focused on GPS navigation. The device is called the Garminfone. T-Mobile has been named the exclusive US carrier for the Garminfone and the device is headed to the network later this spring. 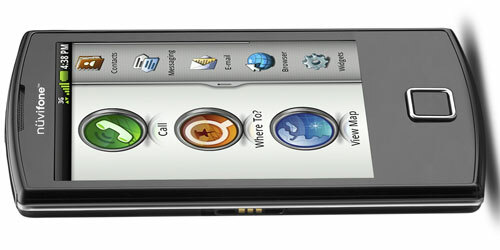 The 3G smartphone runs Android and has a 3.5-inch touchscreen. 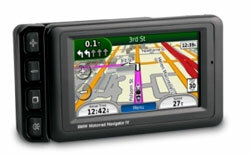 Navigation is the main focus of the device with Gamin maps for drivers and walkers. 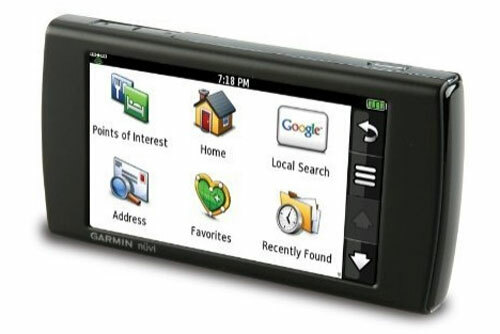 Garmin has announced some new additions to their line of GPS devices, to its 3700 series of GPS devices specifically. The 3790T, 3760T and 3750 all offer a 4.3-inch WVGA capacitive touchscreen display that can be used in landscape or portrait mode, also with Pinch-to-zoom. The Nuvi 3790T offers a wake-up-phrase, which you can set to begin voice navigation, there’s also 3D terrain and 3D building support. Both the 3790T and 3760T feature Bluetooth and come with traffic alerts. I already mentioned that Garmin-Asus has offered the official introduction for the Android-powered A50 smartphone. 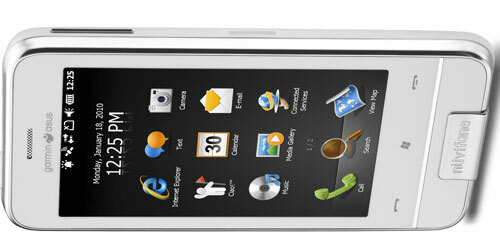 The company has also offered the official launch window for the Windows Mobile sibling to the A50 called the M10. The nuvifone M10 runs Windows Mobile 6.5.3 and will hit Europe and Asia in the first half of 2010. The price for the device is unknown as is availability in other countries. 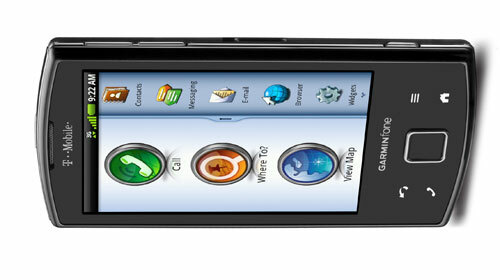 The handset uses a 3.5-inch WVGA touch screen. Smartphones with GPS navigation are nothing new; in fact, the feature is a staple of pretty much every smartphone on the market today. However, for many of the most popular devices, like the iPhone, GPS navigation requires you to buy software. Garmin-Asus has announced the official launch window for the nuvifone A50 with navigation at its core. The A50 is an Android-powered smartphone that features turn-by-turn direction and other features that Garmin offers on its software apps and stand-alone GPS devices. The A50 also has a 3.5-inch HVGA touchscreen and an onscreen QWERTY keyboard. A motorcyclist has many of the same needs as a car driver when it comes to a GPS device. They want maps and an easy to use interface. However, the motorcyclist also has a completely different set of needs that require a robust device. Garmin has announced a new GPS device for motorcycles called the z mo 220 that has a 3.5-inch color screen and is water resistant. The device can also stand up to fuel splashes and works while wearing gloves. If you have ever had to get your car worked on at the shop or have looked under the dash by the drivers legs you may have noticed the little port on your computer controlled car. That Port is the OBD II port and it allows the shop to see any errors or warnings that the car’s computer has recorded. That same port can be used by the driver to glean data about their ride if they have the right equipment. Garmin has announced a cool new device called the ecoRoute hd that plugs into that OBD II port and wirelessly sends information about your car to compatible Garmin GPS units. When GPS devices first started to become popular as options on vehicles, they were mainly limited to high-end luxury cars. As the price of GPS technology has come down, more and more vehicles and motorcycles are adding GPS options and many are opting for portable navigation devices. Garmin and BMW have announced the introduction of a new GPS device that is customized for BMW motorcycle owners called the BMW Motrrad Navigator IV. The device has custom BMW features including a custom mount, preloaded BMW dealer database, and audio and Bluetooth capabilities. Garmin makes GPS devices for just about every possible need. You can get a Garmin GPS for your car, you can get Garmin GPS in your airplane, and you can get Garmin GPS for your motorcycle. 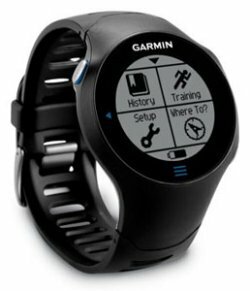 You can even get Garmin GPS for your wrist. Gaming has announced two new wrist wearable GPS units called the Foretrex 401 and Foretrex 301. Both of the devices have high-sensitivity; WAAS-enabled GPS receivers and a USB interface in a waterproof device designed for skiers, campers, and military personnel to wear. This one is for guys who like to jump out of planes. 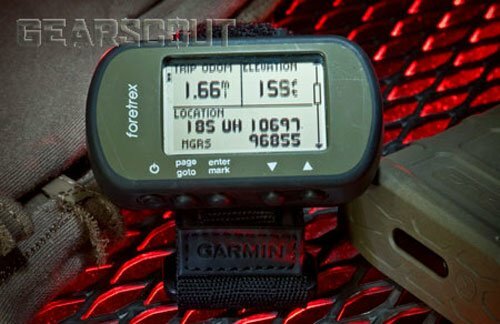 Garmin has a new version of the Foretrex. The 401 is 20% smaller than the original Foretrex 101 and 201, though the display is the same size. It also sports a 2-axis digital compass, barometric altimeter and a USB 2.0 port. The most interesting feature is the Jumpmaster function, designed for static, HAHO and HALO skydiving, with options including forward throw, windspeed and HARP to ensure a safe landing. The Foretrex 401 uses AAA batteries for up to 24 hours of use, and it has the ability to swap batteries on the road. You can get it for $250 starting June 16th. GPS is becoming so common that even people who don’t really need one are getting them. Last time I saw my grandmother she had a GPS in the car. This is the same woman who goes nowhere she hasn’t been going for the last 30 years and is so cheap she washes paper plates. GPS has gone mainstream for sure. Gamin has introduced new GPS units called the Oregon 550 and Oregon 550t. Both of the devices integrate a 3.2-megapixel camera that can geotag images and a 3-axis compass. The devices are designed to be carried on outdoor excursions rather than mounted in car. The last time I took my family on vacation without a GPS, I was irritated before we got out of town. I tried to let my wife read the map, which was a bad idea. Perhaps schools should teach basic map reading to girls when they take them out of class that one day during health to learn about girly parts and pregnancy. The easy remedy to this is to use GPS, which can be a marriage saver. 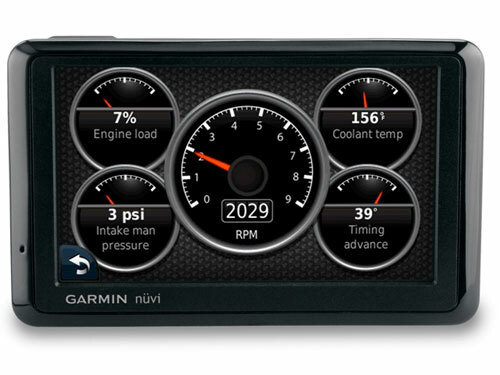 Garmin has announced a new GPS device called the nuvi 1490T that has a thin profile and a large 5-inch screen. The large screen is touch enabled and can save five different routes to allow route planning in advance.